Grand Tower Cebu is located in front of SM City Cebu, North Reclamation Area, Cebu Philippines. 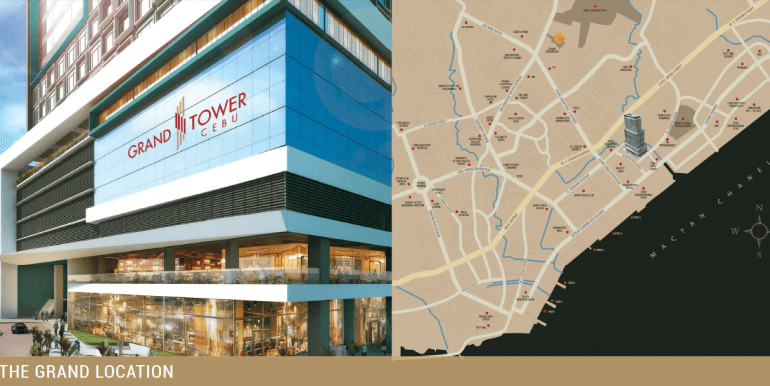 It is a 30-storey Retail / Office / Condo Hotel, 4 star hotel, right at the heart of Cebu's Business District. Hotel Management is under Dusit International Hotel, Designer & Architect by Aidea and Building Management by Colliers International. -Fifteen (15) usable days in a yearEven if your particular unit is not leased or used, you still get income.